I REMEMBER SEEING HOW MANY PEOPLE WOULD FIT IN CHARLA FOLEY'S VOLKSWAGEN DON'T REMEMBER HOW MANY WE CRAMMED IN THAT CAR BUT WE BLEW A PISTON GOING UP JACKSON HILL JUMPING OFF THE CLIFFS AT APPLE? I WAS THE ONLY GIRL THAT WOULD JUMP!! AND THE SANDPILES THEY WERE USING TO BUILD THE INDIAN NATION TURNPIKE JUST CLEAN INNOCENT FUN!!!!! 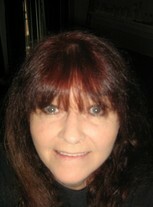 Jan Mathis Smith updated profile. View. Jan Mathis Smith added a photo to profile gallery. Brooklyn started soccer this year! Abram started soccer this year too! Jan Mathis Smith changed profile picture. Jan Mathis Smith has a birthday today.